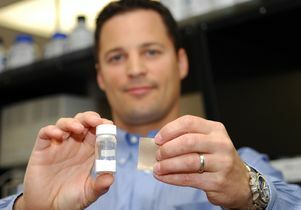 UCLA professor Eric Hoek holds a vial of nanoparticles and a piece of the revolutionary desalination membrane he helped develop. UCLA is a breeding ground for innovation, and the campus has earned its place among the nation’s leaders in converting research discoveries to practical applications that benefit society. UCLA also was No. 5 in Forbes magazine’s 2015 ranking of the most entrepreneurial research universities. UCLA’s Office of Intellectual Property and Industry Sponsored Research is currently responsible for protecting and commercializing nearly 3,000 inventions and more than 1,000 U.S. patents. For the fiscal year that ended in June 2015, the campus disclosed 486 new inventions, received 121 U.S. patents and licensed 189 new inventions to companies. 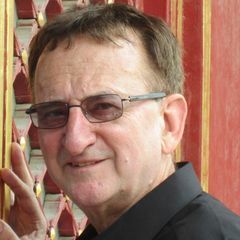 “The Office of Intellectual Property works with UCLA faculty to consider the broadest possible range of applications for these inventions and develop strategies that will best position them to successfully enter the marketplace for public benefit,” said Emily Loughran, the office’s senior director of licensing. For the fiscal year ending in June 2015, licensing of UCLA discoveries generated more than $71 million for UCLA and the researchers who developed the research. That amount was up significantly from $39 million for the previous year, although Loughran emphasized that licensing proceeds make up a very small percentage of the campus’s total budget and do not diminish UCLA’s need for continued support from donors and the state of California. Xtandi, an oral medication for treating prostate cancer that was created based on a compound developed at UCLA. Xtandi inhibits the androgen receptor, which plays a key role in the progression of the disease. In a phase 3 clinical trial, people taking Xtandi had a 37 percent lower risk of death than those taking a placebo. 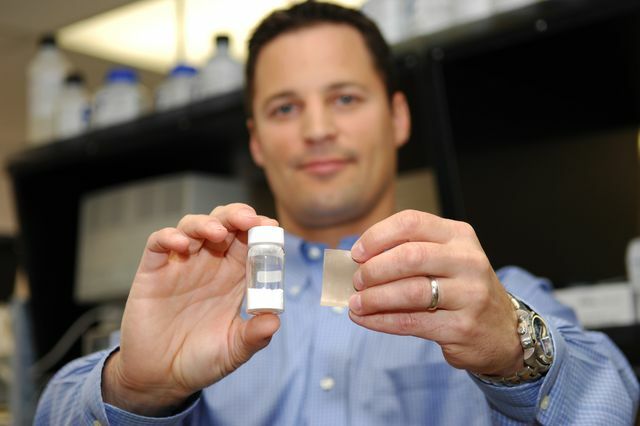 The nicotine patch, which is credited with saving the lives of thousands of smokers. Patented by UCLA in 1990, and then introduced as a prescription drug in 1991 and as an over-the-counter medication in 1999, the patch transmits low doses of nicotine into the bloodstream and reduces smokers’ craving for nicotine. Numerous studies have indicated that nicotine patches roughly double the success rate of people attempting to quit smoking. A water filtration and desalination membrane that produces high-purity water with lower energy consumption and that lasts longer, stays cleaner and does not become clogged with impurities. The technology, which helped launch a UCLA startup company that was later acquired by LG, is made up of specially designed nanoparticles embedded within the membrane. The nanoparticles soak up water like a sponge but repel contaminants such as dissolved salts, industrial chemicals and bacteria. UCLA has also introduced numerous other advances, all of which are managed by the Office of Intellectual Property. The office also hosts a variety of campus entrepreneurship, technology transfer education and networking events, including a monthly First Friday speakers series; annual conferences that showcase UCLA startups and new medical devices; and a competition that encourages UCLA students, staff and faculty to create mobile applications with societal benefits.